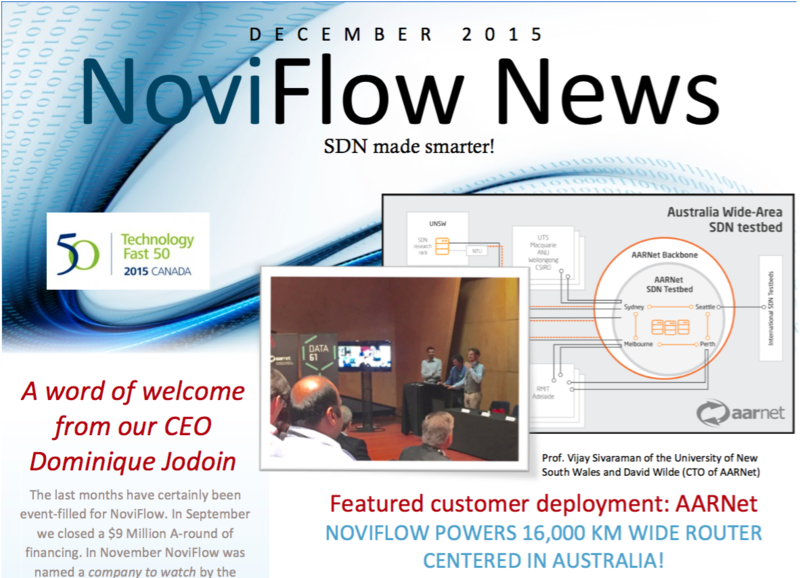 NoviFlow’s November 2016 Newsletter is out! 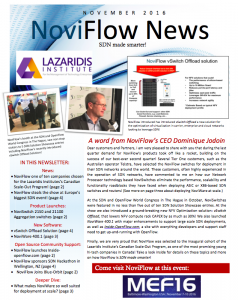 The November 2016 edition of the NoviFlow Newsletter is ready with lots of info on industry activities, strategic partnerships, open source initiatives. You can download the Newsletter here, or sign up for Newsletter using the box on the right. NoviFlow’s May 2016 Newsletter is here!